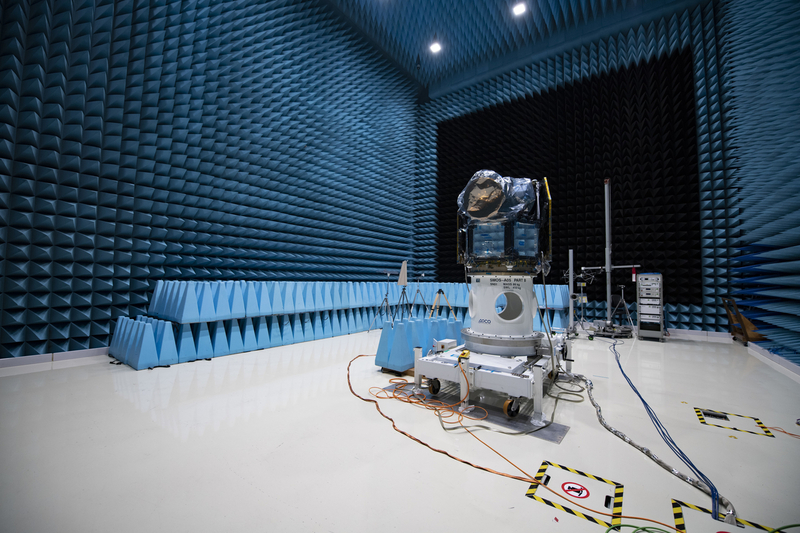 The 12-meter-high anechoic chamber of the Maxwell test facility is particularly large. It was designed to accommodate the 10-metre-high Automated Transfer Vehicles (ATVs) used for carrying cargo to the International Space Station. The black wall behind CHEOPS is covered with high-power dissipation absorbers that are able to absorb satellite transmissions without overheating, so that auto compatibility tests, of whether a satellite's own emissions interfere with its other subsystems, can be performed in the absence of reflections.